At the Vogue India party in Delhi, Kalyani was seen in an Anamika Khanna embroidered cape and draped dress and Natasha, in a Saint Laurent one-shouldered mini. Natasha almost always gets her hair and makeup right but can’t say I was a fan of the frizzy do here. Much preferred Ms. Chawla. 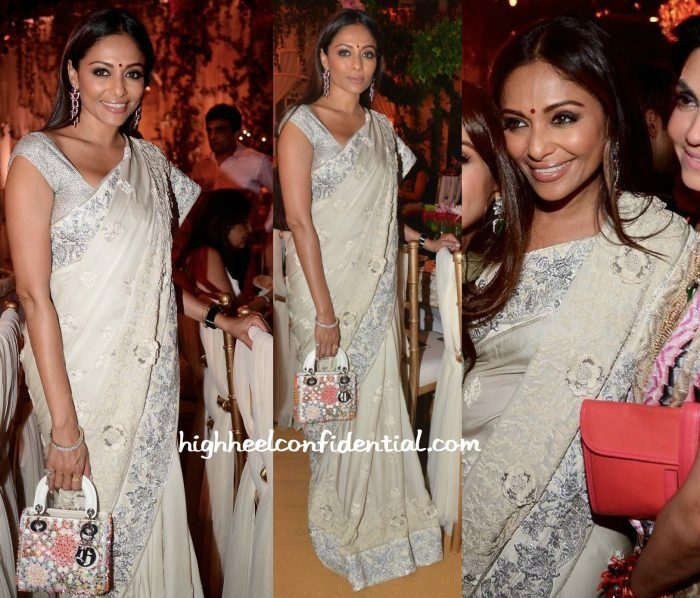 Wearing what seemed like an Abu Jani Sandeep Khosla sari and a customary Dior bag, Kalyani attended the Bachchan’s Diwali party on Sunday evening. Wish we had a good front profile pic but from what we saw, we liked! Kalyani took in the Anamika Khanna show on Friday evening at India Couture Week wearing an intricate jacket and draped pants by the latter. Hair in a top knot, she finished out her look with a metallic Dior clutch and black sandals. Where for Sabyasachi’s presentation she picked Dior to wear, for Varun Bahl’s showing, it was a sari by the latter for Kalyani while at Couture Week. Aside from droolworthy jewelry, Dior bags finished out her look both times. Though Ms. Saha looked good in both, it was her appearance in Varun Bahl sari that stood out more, perhaps because of how infrequently we see her in one on these pages. 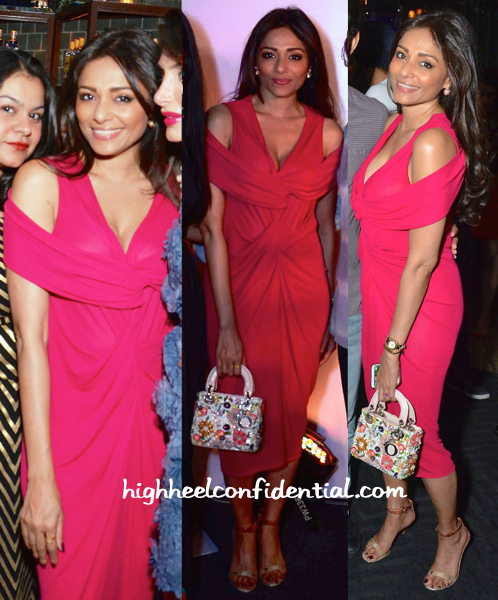 Earlier this month, while at an event in the capital, Kalyani was photographed wearing an Alexander McQueen dress. A Dior bag and Givenchy ankle-strap sandals finished out her look. She wears the dress well.